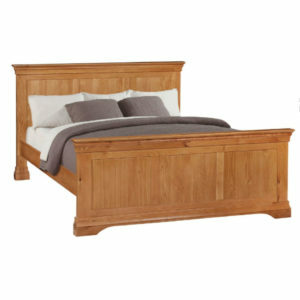 The Amstel Wooden Electrical Adjustable Bed is an elegant slatted style, with curved lines, a cream finish and a beautiful Solid Oak Trim. The 5ft & 6ft Amstel Curved are both Dual Beds, with 2 adjustable mechanisms, and 2 mattresses, for independent movement. The Amstel Electric Adjustable Bed is an elegant style bed with Curved Lines, a champagne colour finish and a beautiful Solid Oak Trim. 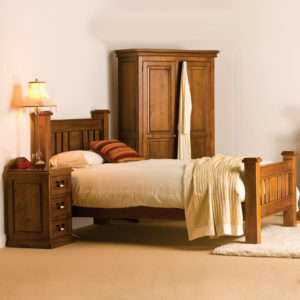 It is a stunning feature for any bedroom. The Amstel Curved wooden electric adjustable bed is suitable for a High Low/Vertical Lift/Carer’s Bed Mechanism, which makes it for easier on carer’s to get access to their clients. 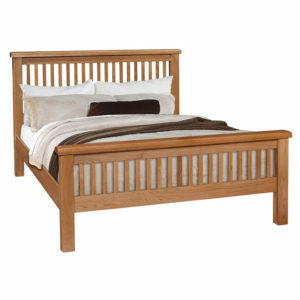 The Amstel Style of Electric Adjustable Bed is ALSO available in a Straight/Slatted Style : See Amstel Slatted. 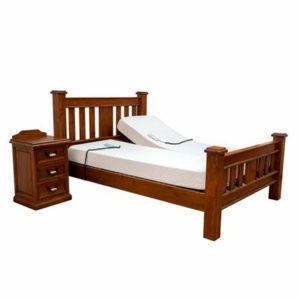 Size 3ft : is a Single Bed , One Mattress, One adjustable mechanism.